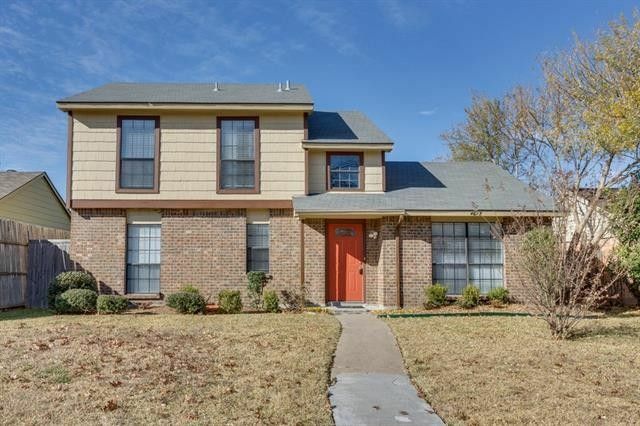 Don't miss this move-in ready home just blocks from beautiful Lake Ray Hubbard! The enormous Family Room showcases a vaulted ceiling, laminate hardwoods and oil rubbed bronze chandelier. The eat-in Kitchen features granite-look laminate counters, tile back splash and stainless appliances. The 4th bedroom (converted garage) would make a great game, exercise or play room. There is also a convenient Powder Bath for your guests and separate Laundry Room. Upstairs offers 3 bedrooms, linen closet and full bath with dual sinks. Exterior amenities include a covered patio, gutters and gated rear driveway. 2017 updates: laminate hardwoods, carpet, interior paint, blinds and foundation repairs with a lifetime warranty. Directions: From I-30: Dalrock North, Left on Chiesa, Right on Catamaran, Left on Monterrey. From Lakeview Parkway (SH 66): South of Chiesa, Left on Pebble Beach, Right on Monterrey.